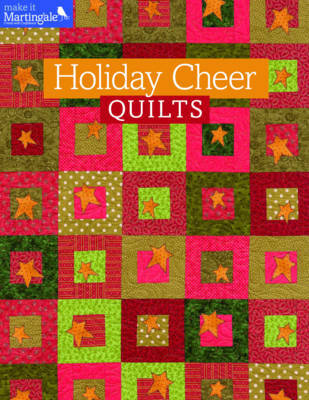 This is a delightful collection of nine easy-to-make quilts full of festive cheer. You can celebrate the holiday season with this delightful collection of nine festive quilts in a wide variety of styles. Projects range from a bold "Holiday Cheer" table runner to a dazzling "Christmas Star Wreath." And don't miss the fast and fun "Little Forest" quilt, where the trees grow quickly. You can learn easy techniques and get creative with fanciful fabrics.